The 1st Annual Edible Good Cider is coming!!!!! It’s pure joy to my ears as I am a big cider fan. It will feature cider as well as food pairings from some of New Yorks best chefs. 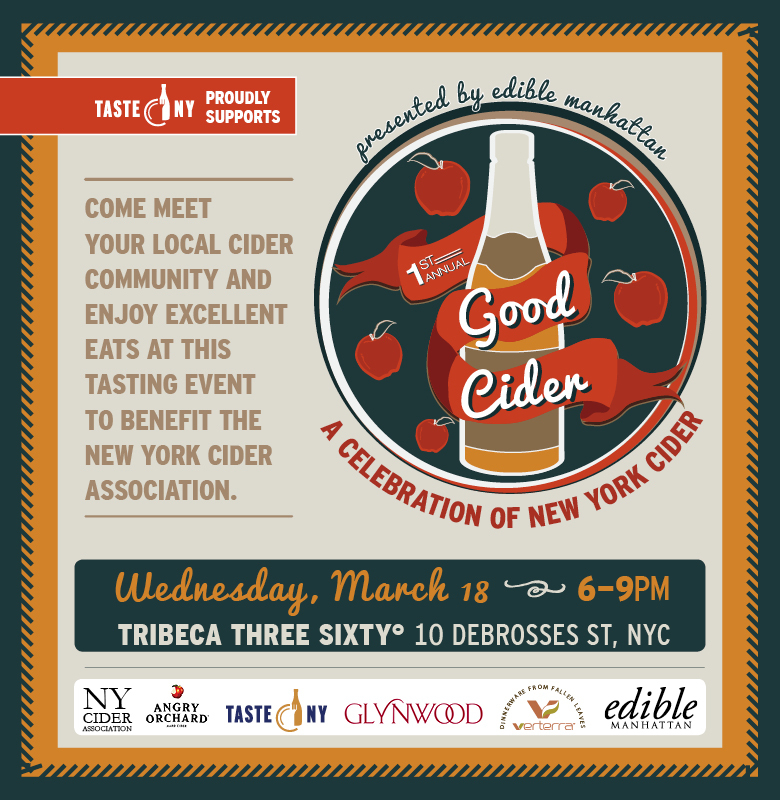 The tasting event will benefit The New York Cider Association. There will be 30 plus companies present and growing. You will be able to purchase cider to take home which is a huge plus! Cider fans this is not one to miss! Tags: Edible, foodie, Good Cider, tasting. Bookmark the permalink.